The national airline is Iberia (www.iberia.com), which flies to Lanzarote from mainland Spain and much of Europe. Budget airlines including Easyjet (www.easyjet.com) and Ryanair (www.ryanair.com) also fly to Lanzarote from the UK. Lanzarote Airport is located 5km (3 miles) to the west of Arrecife. From London to Lanzarote is 4 hours 20 minutes. Lanzarote cannot be reached by rail. Lanzarote cannot be reached by road. Ferries from mainland Spain serve Lanzarote and other Canary Islands. Cruise ships also call at the island. Marmoles, a 30-minute walk from the centre of Arrecife, is the main port on the island. 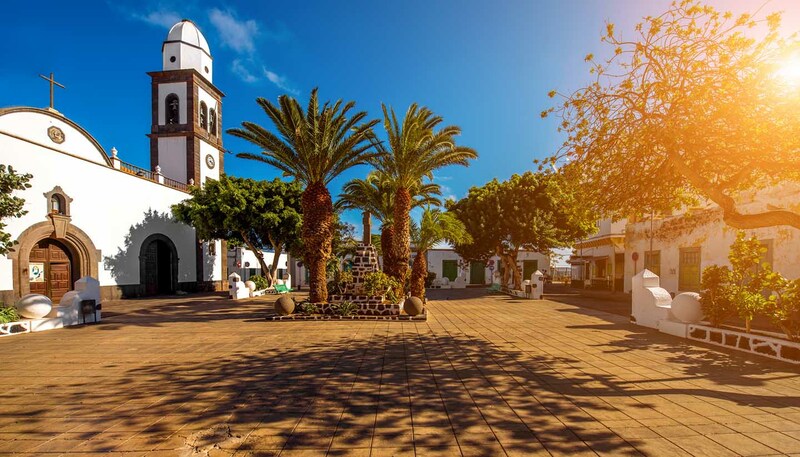 There are weekly departures from Cadiz and Huelva to Lanzarote. Trasmediterranea (tel: +34 902 454 645; www.trasmediterranea.es) operates a weekly service from Cadiz to Arrecife (journey time: 31 hours) and Armas (tel: +34 902 456 500; www.navieraarmas.com) operates a weekly service from Huelva (journey time: 25 hours).